I had been longing for a special companion. I found her in a precious black, furry ball of dog energy. We called her Maggie. Our tender human-canine bond took us on a journey of love and discovery that I couldn’t have imagined. Ours was a soul connection. It was love at first sight when my canine soul mate and I first laid our eyes on each other. My heart opened wide and she crawled in. She was so full of joy! So genuine. Throughout our life together Maggie’s radiant spirit continued to open my heart while teaching me to live in the present. Our bond deepened with each passing day. It was Maggie who taught me what really matters in life. 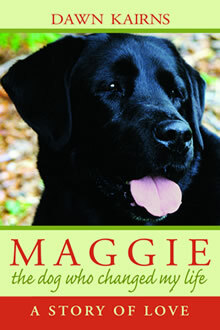 MAGGIE is available in paperback, hardback, on Amazon Kindle and Barnes and Noble Nook. I always knew I’d lose my parents, but was not prepared for what caring for aging parents really meant. How could I ever prepare myself for how watching a loved parent suffer would affect me? Or how overwhelming and life-changing the loss of my parents would be? We are moved by what we love. 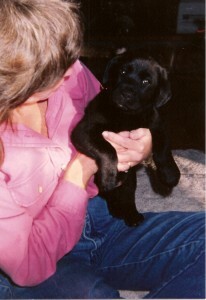 It was my dog and constant companion, Maggie, who inspired my first book, MAGGIE the dog who changed my life. 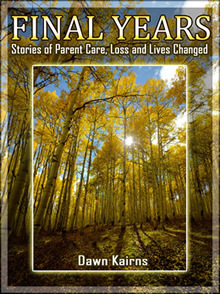 Then caring for my declining parents moved me to write again, and to talk with others to explore their varied experiences in caring for their aging and dying parents. 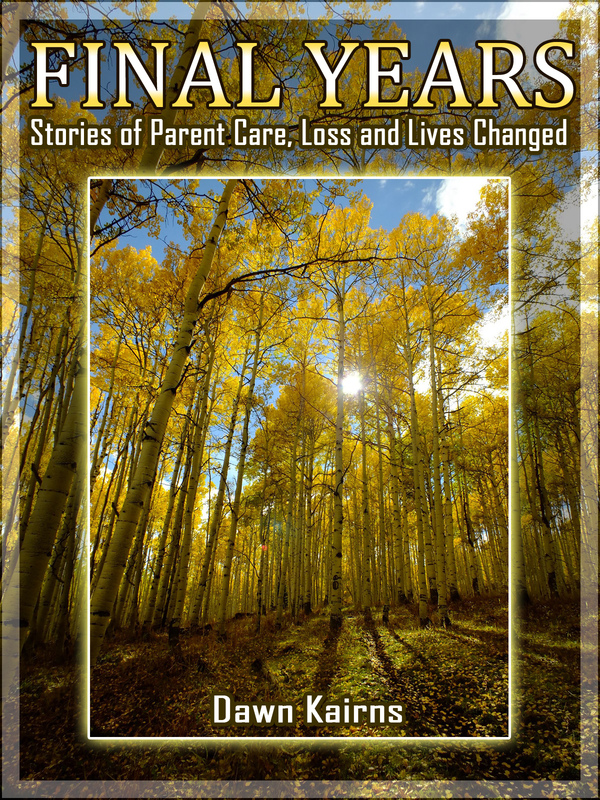 Thus, FINAL YEARS Stories of Parent Care, Loss and Lives Changed was born.